Two rides in two days in one report. 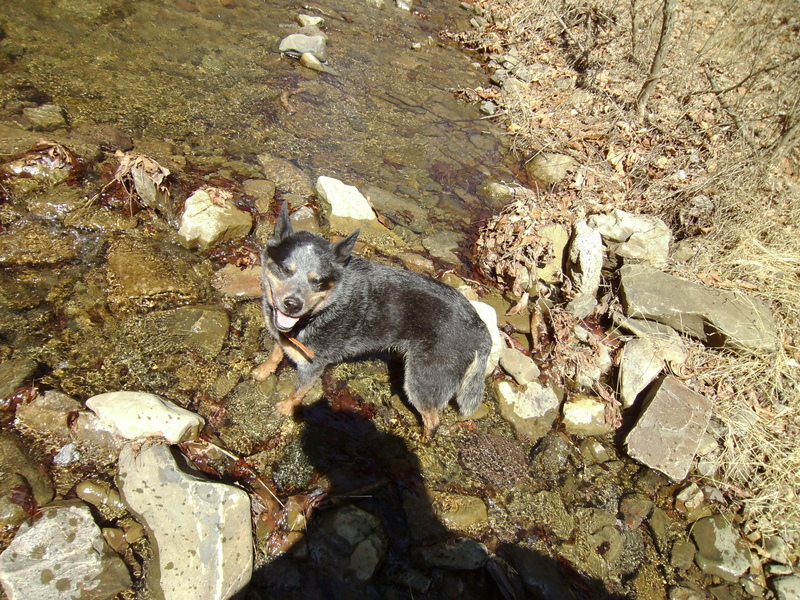 This loop is about 12 miles with plenty of creek crossings. I ran into Gale and Dale when I got back to the trailer. They were just ahead of me on the loop. I also ran into some hikers. These are the community serving guys that cleared the trail over the winter. I wish I had some beer in my saddle bags to cheers them with. Simon and I completed out ride in about two hours (my tracker cut out about mid ride). 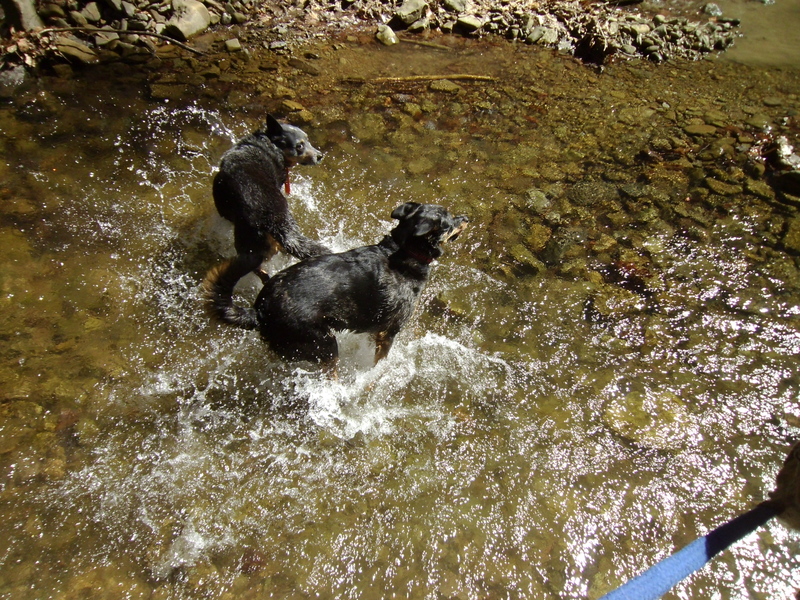 The dogs went for a few swims when crossing some of the creeks and Simon even waded out to his belly. 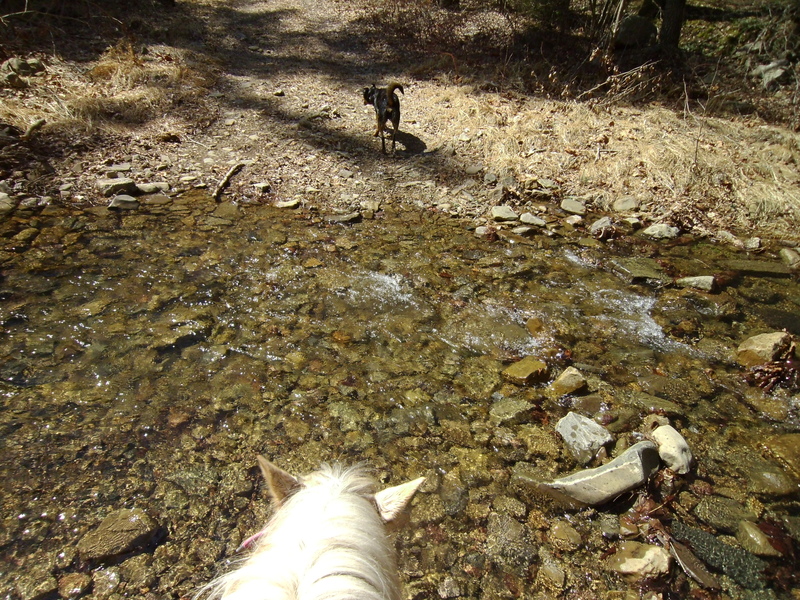 This ride was about 13 miles and mostly fire road. I wanted to check out the fire road father along, and also two trails marked on my mapping app that were not on my forest service map. On the map image above I also marked the second fire road on the left (which has a gate) and roughly the trail I took on Thursday down to Slate Lick Lake and back. 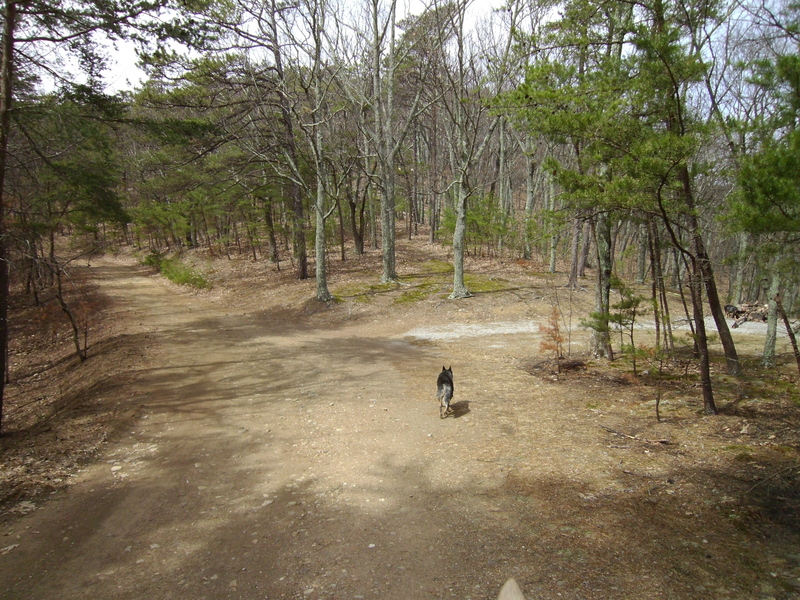 I also marked the start of a second trail on the left, just past the one from Thursday. It is right about where the forest shows signs of recovery from a forest fire and tracks straight down the slightly sloping terrain. It is very pounced and hard to miss. On the return trip the rocks along it showed white from a distance, catching the eye. I am eager to try this trail out. 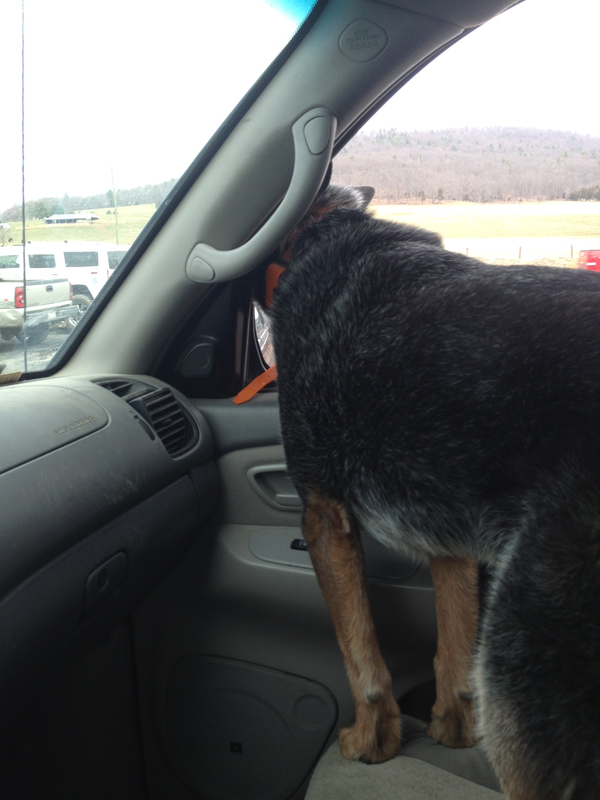 Ash was very excited for this ride. 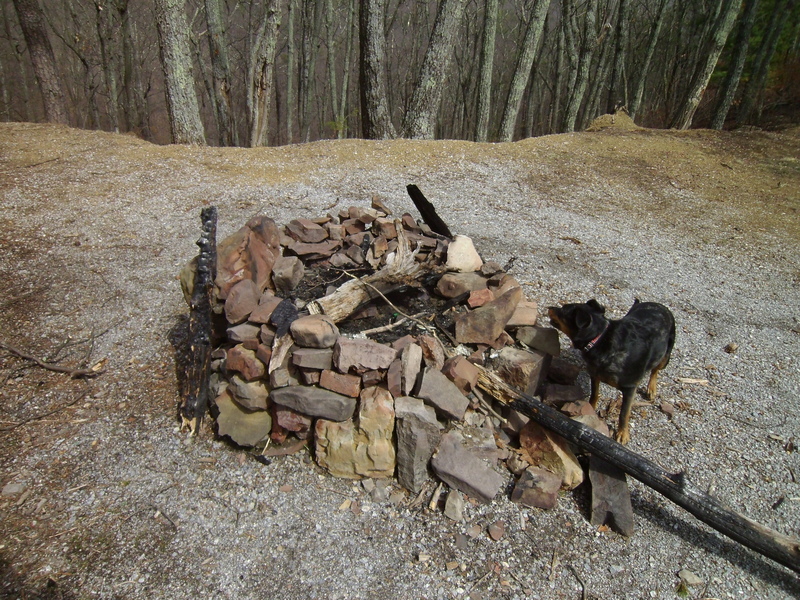 There is a camp circle to the right that has a large fire pit in it. 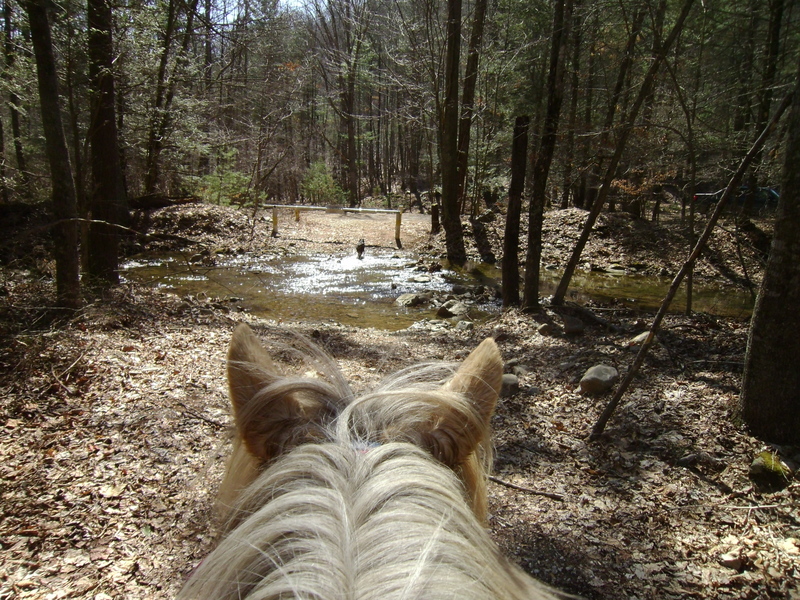 This is where the trail that rides closer to the road starts. 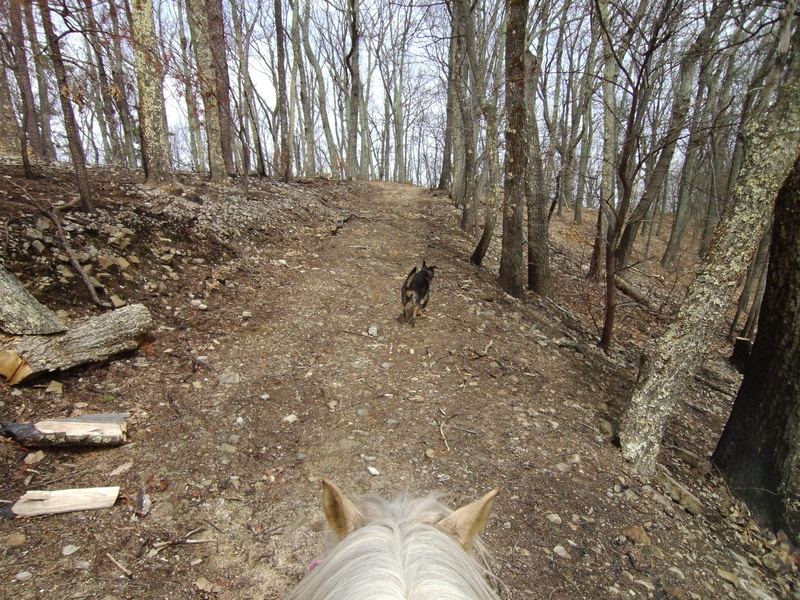 This trail rides up and quickly spills out on fire road 423A. 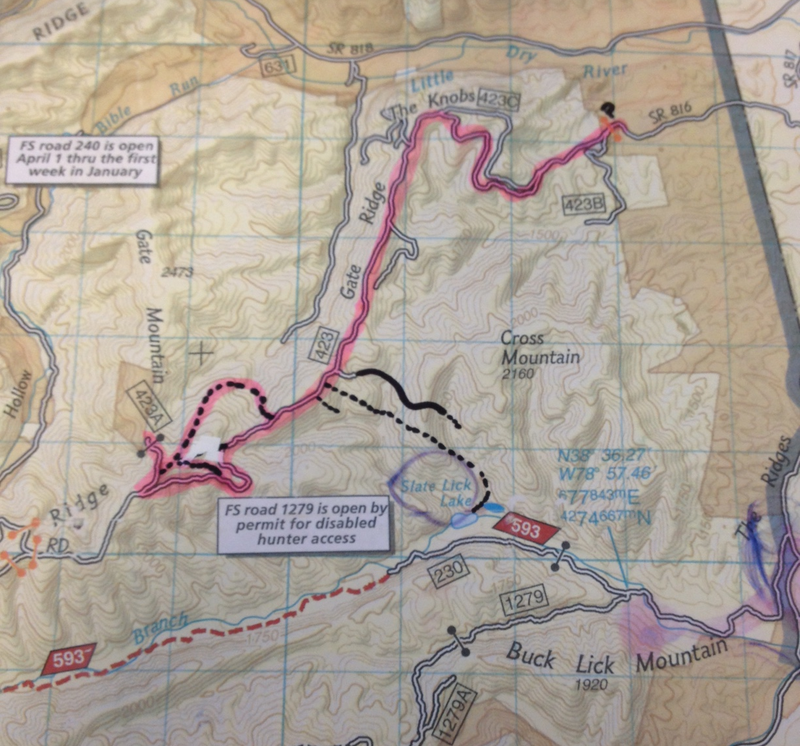 If picking up the trail on the return, from fire road 423A, it splits. 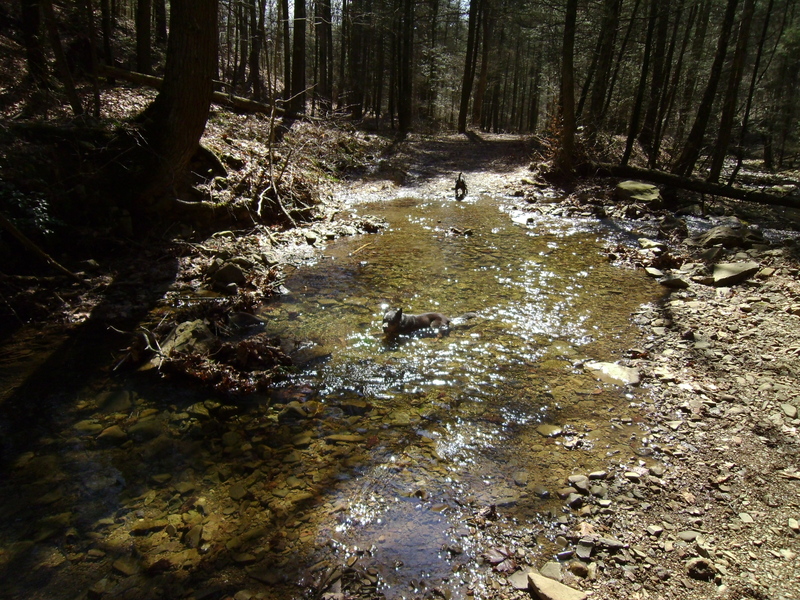 The left branch runs father out and cuts back to the main fire road father along, as marked on the map above. 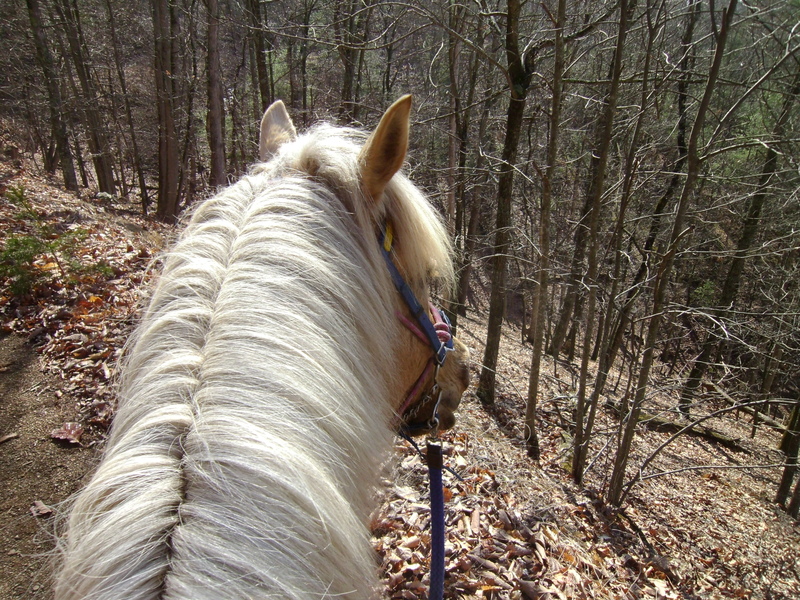 This trail was a bit over grown, more so just before dumping back out on the fire road. I won’t bother to ride it again. 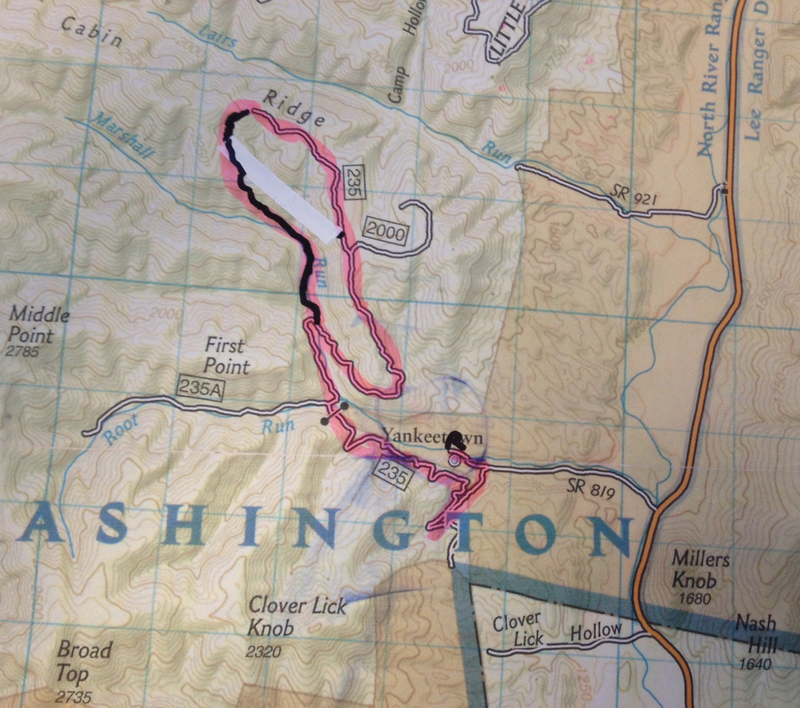 Both of these two trails were marked on my tracking app, but not the actual fire road map. 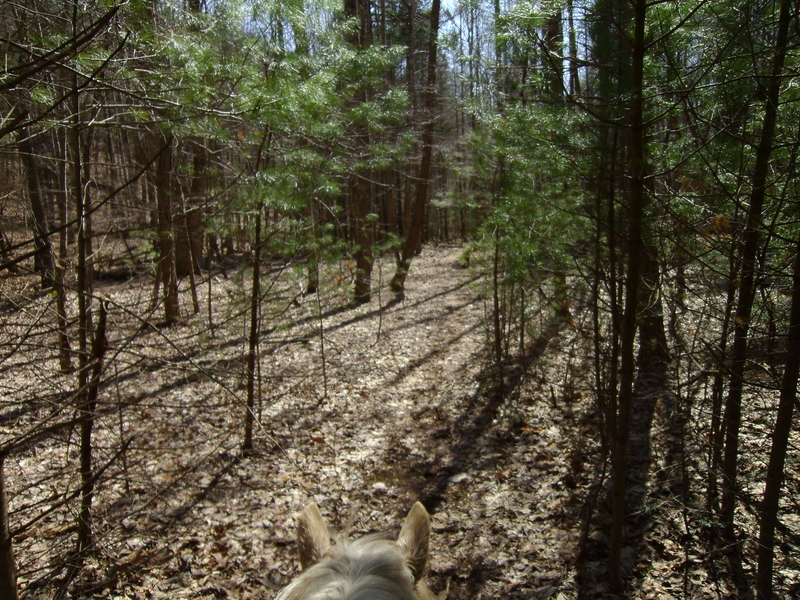 The left split is clearly an old logging road or fire road. 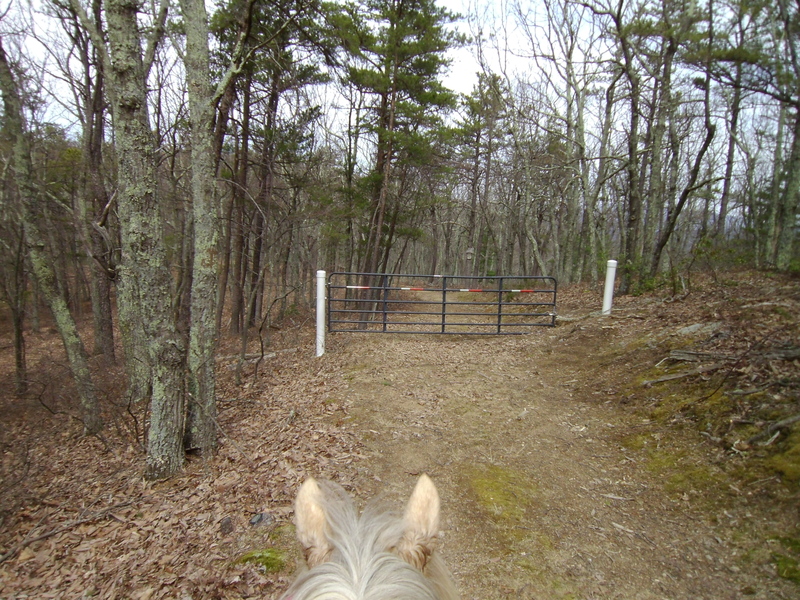 The right split had an old fire road gate post on it, and appears recently used. 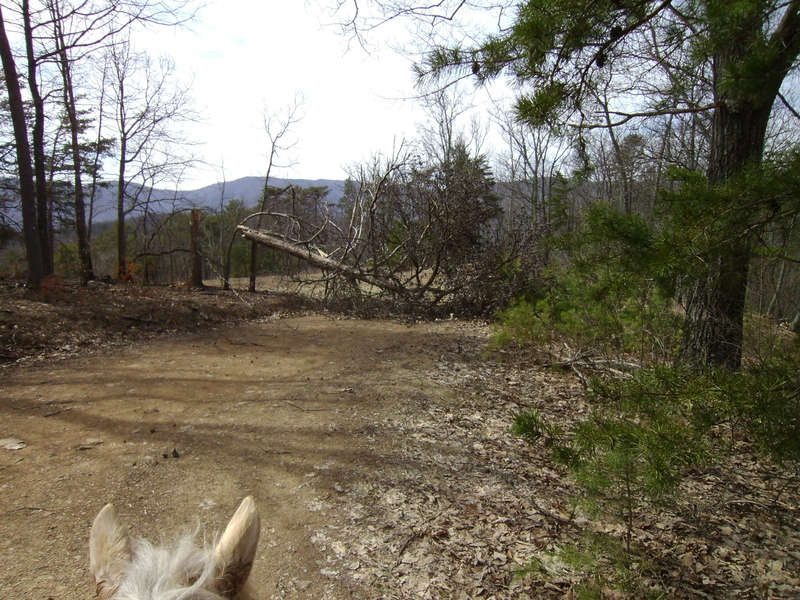 This tree was down across the road just after the turn off for fire road 423A, which is on the right and angles back. There was another tree down just a little ways past this one as well. A large field opens just beyond it to the left. 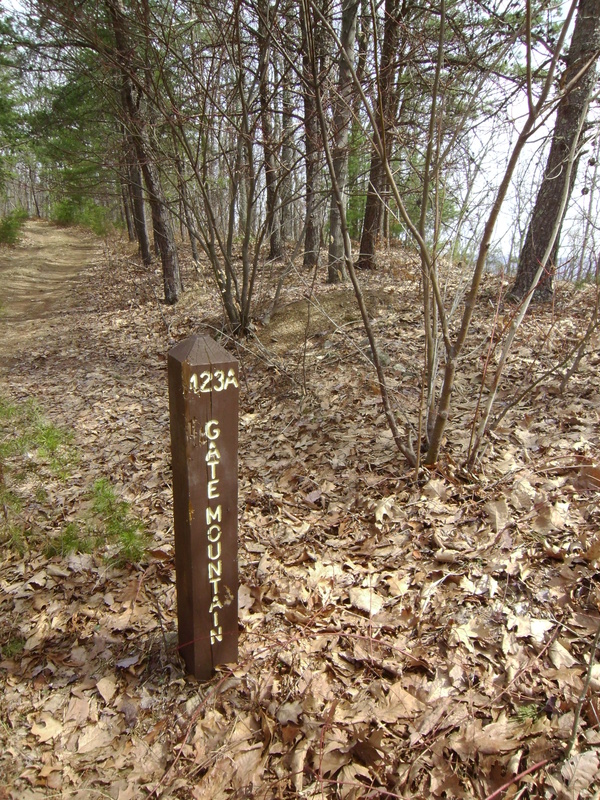 Fire road 423A is recently used and ends cleanly at a gate to private property. Time to turn around. 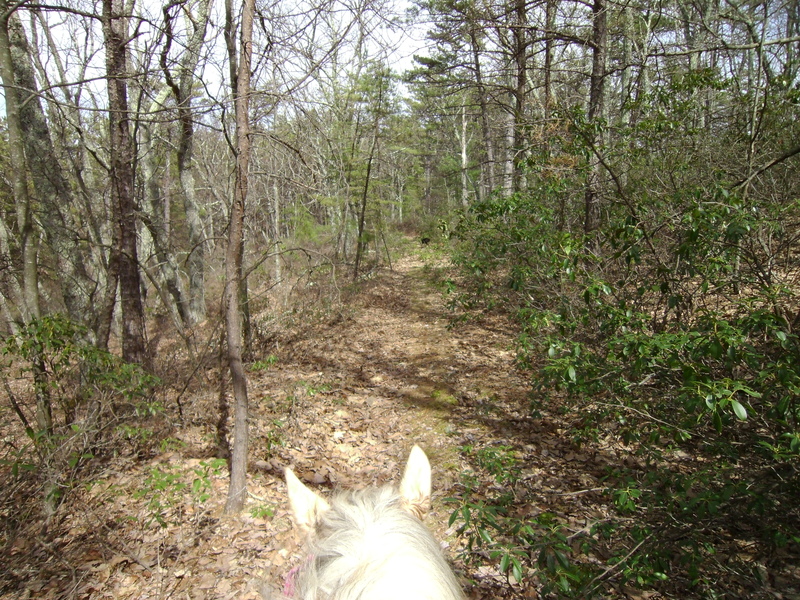 Above is a photo of the right split of the trail from 423A headed back towards home. 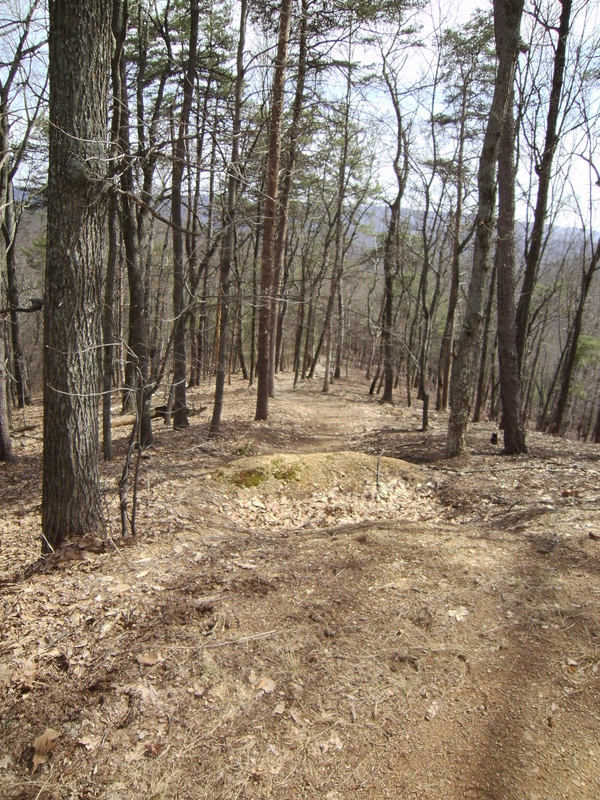 The above is a photo of the left split of the trail from 423A headed back towards home. 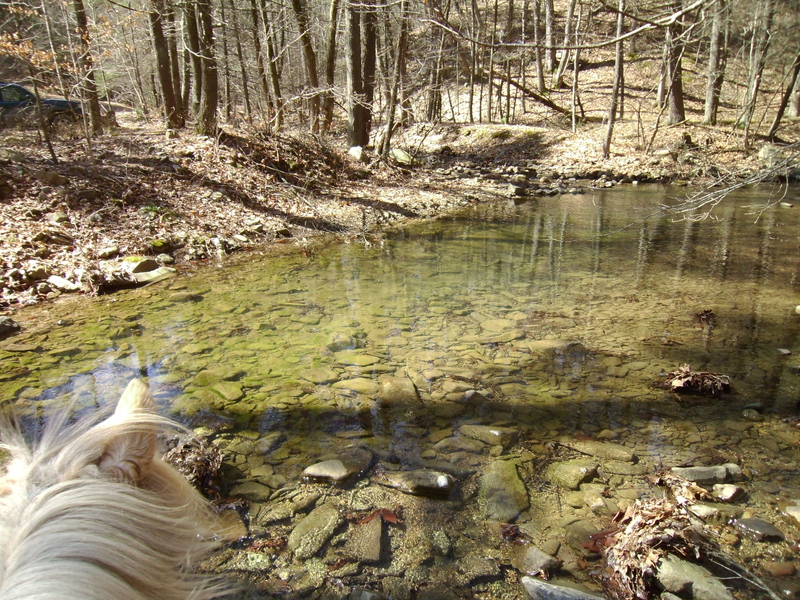 The above is the trail head for the trail I want to check out soon. 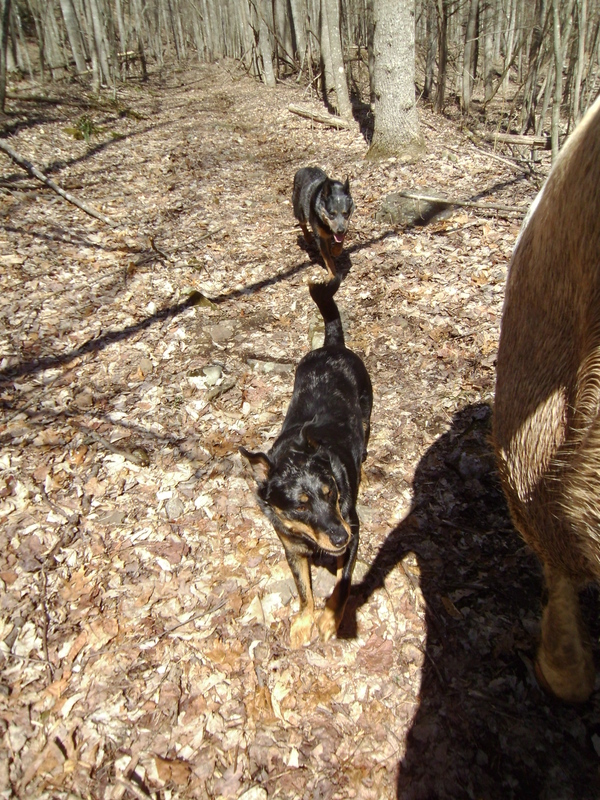 It heads off in the direction of Slate Lick Lake.